One of the most critical attentions to bike fit is the tilt of the saddle. Saddle tilt affects pelvic and spine postures and can be a source of irregular compression to the hands. Irregular saddle tilt can also be a source of excessive rider forward and back motion on the saddle. The best way to manage saddle tilt is to start with your equipment. 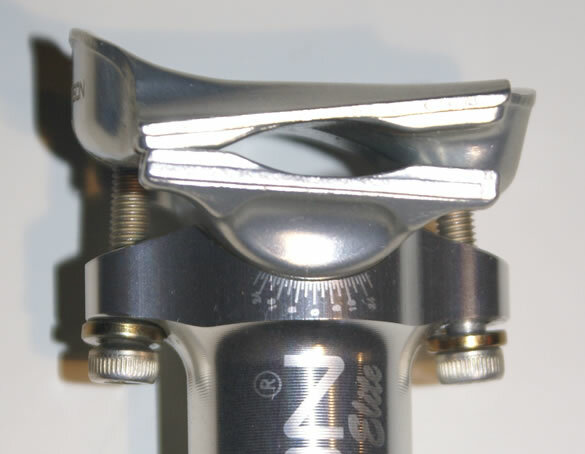 Many stock bikes come with seatposts that allow macro-adjust, or tilt options in 3 degree increments. These incremental options often times don’t allow the fine discretion required to ensure your saddle is level. A great investment for your bike and for your comfort and function on the bike is a seatpost that allows fine-tune tilt resolution of the saddle. Some great examples of seatposts that allows fine-tune tilt include: Thomson Elite (see our review), FSA SLK or K-Force, and Ritchey, who has various models which fit the bill.